Jewellery storage has always been an issue for me- I have so many pieces of costume and ‘good’ jewellery that I sometimes have problems working out where to put it all. I have some pieces that I’d prefer to keep out of sight, to make it difficult for potential jewellery thieves to take, while I have other pieces of statement jewellery that don’t deserve to be hidden away- it’s this jewellery that is made to be on display. While there are many storage options available on the market- decorative jewellery boxes and pretty hangers- there are fewer options when it comes to displaying earrings. While it’s true that there are dedicated earring stands, these are mostly made for dangly earrings, leaving few storage options for stud earrings. Of course, you can always put them into a cute little container, but what if you want to put them on display? The container option is also a little impractical if you want to keep the pairs together, as they can easily get separated. 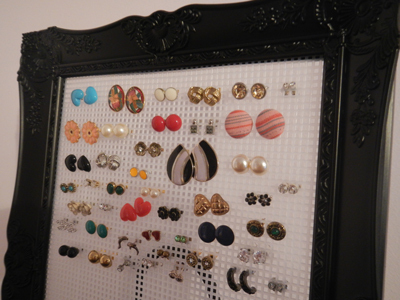 This earring stand is the perfect solution, and it’s very easy to make. The studs fit easily in the holes of the mesh and can be easily arranged into pairs, wherever you like within the frame. 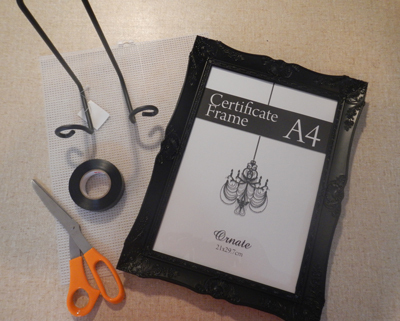 Because you’re actually making it, you can choose a frame that suits the décor of the room that you’re displaying the earrings in, and you can choose the size that you wish the stand to be. Best of all, it costs hardly anything at all to make, and you’ll end up with an attractive display option for the many stud earrings that you have accumulated over the years. Take the back off the frame and set it aside. 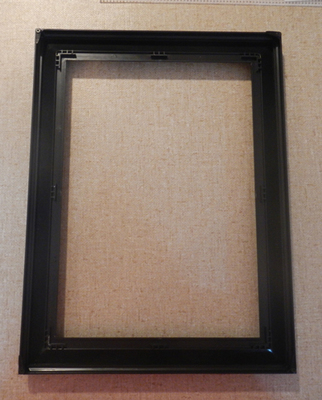 Remove the glass and mountboard insert from the frame and also set them aside. 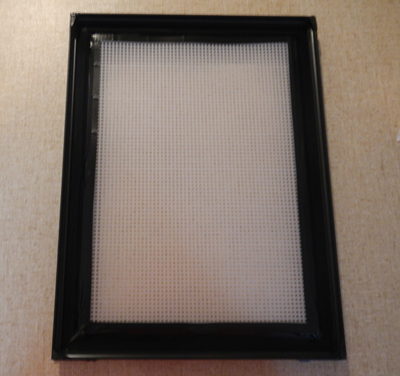 Pick up the piece of plastic mesh and place the piece of glass from the frame on top of it. 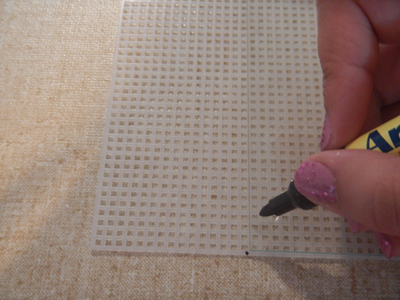 This will act as your stencil to determine the size you need to cut the mesh to. Line up the side of the glass with the side of the mesh and, using a permanent marker, trace a few lines along the side of the glass onto the mesh. Put the glass aside- you won’t need it anymore. 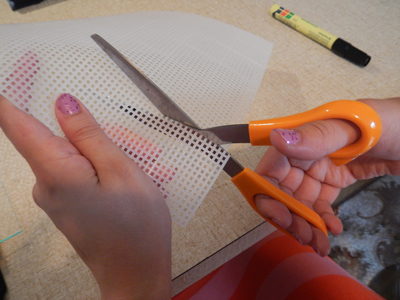 Grab the scissors and cut along the lines that you have just marked onto the mesh. 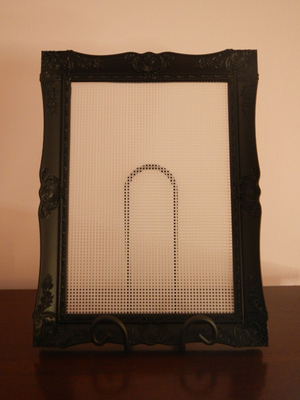 Follow the straight lines to cut the mesh into a rectangular shape that should fit neatly inside the frame. 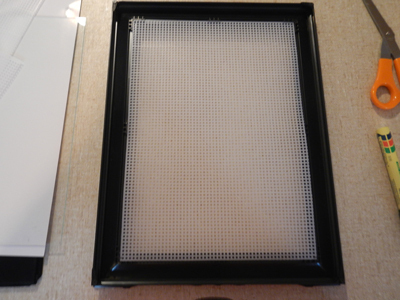 Place the mesh into the frame in the place that the glass would normally be. 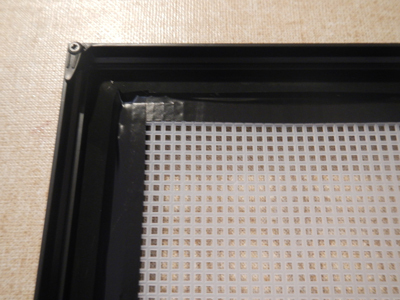 Unroll the electrical tape and, cutting the strips to size, position it where the mesh and the frame meet. 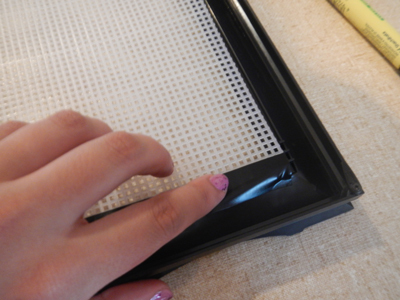 Press down to secure the mesh onto the frame. Do this along all four sides until the mesh is completely attached to the frame. 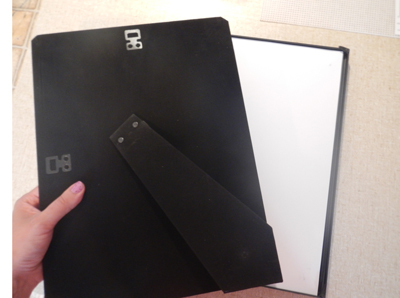 Place the frame onto the decorative plate stand. 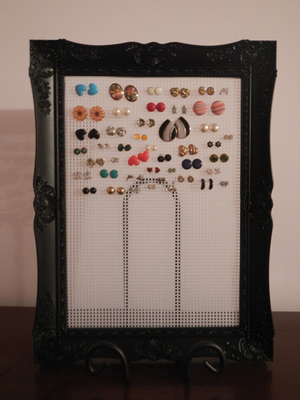 Your earring stand is now complete. 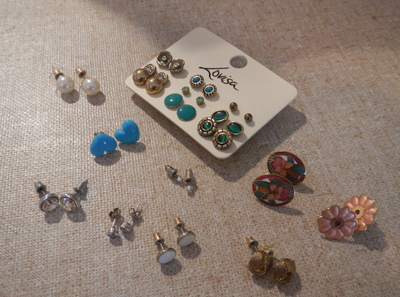 Get your collection of earrings and display them on your stand in their pairs. Now you won’t have to dig around and look for that particular pair of studs because they will be visible and easily accessible on your new earring stand.